Joan Whitney Payson was born on February 5, 1903 in New York City. She was an heiress to the prominent Whitney Family. She inherited a large trust fund from her grandfather (William C. Whitney) & then received the majority of the family fortune when her father (Payne Whitney) passed on. Her brother John Hay Whitney, was ambassador to the UK, president of the MOMA & publisher of the old NY Herald Tribune. She attended Barnard College in NY as well as some time at Brown University in Rhode Island. Joan Whitney would marry Charles Shipman Payson, a lawyer and successful businessman himself. The two lived in a 400 acre, 50 room mansion, named Greentree, on the Gold Coast of Long Island, in Manhasset, NY. The mansion was also home to their own private art gallery. Art: She collected a variety of expensive art and has many notable works donated in her name at the NY Metropolitan Museum of Art, in the Joan Payson Galleries. The Joan Whitney Payson Collection of Art is also on permanent display in the Portland Art Museum. Horse Racing: She was also involved in Thoroughbred horse racing. Mrs. Payson along with her brother inherited & then ran Green Tree Stable & Breeding Farms in Saratoga NY & Lexington Kentucky. Their horses won four Belmont Stakes, two Kentucky Derby’s & a Preakness. The family interests also backed finances for Broadway plays & movies, including A Streetcar Named Desire & Gone With the Wind. Baseball: Mrs. Payson was a huge baseball fan and became a minority share holder in the New York Giants baseball club. Her favorite player was Willie Mays. She & her husband voted against the Giants move to California, and sold her shares when the team left New York. In the late 1950's he began to work hard to find a replacement team & get National League baseball back to New York. She along with M. Donald Grant were the only two shareholders opposed to the Giants move to the West coast. Together they formed a group that won a NY franchise in the Continental League, a proposed third league for MLB. MLB eventually decided to expand & a National League New York franchise was welcomed in 1962. Joan Payson became the first woman in America to buy a majority share of a sports team. She was the NY Mets majority stock holder, team President actively involved in baseball operations from 1962-1975. Unfortunately she trusted M. Donald Grant with many of those baseball decisions in the mid seventies. Her husband Charles Shipman had no interest in baseball. & was rarely involved. She loved her team, and was very good to her players. They also had a deep respect and admiration for her. 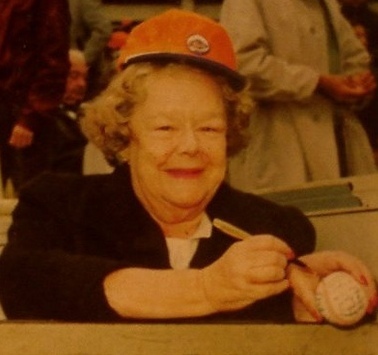 The Mets organization was like a close nit family throughout her active years. 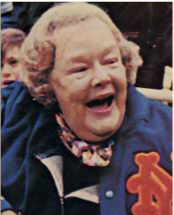 She was always seen in the front row of a Shea Stadium box seat rooting on her team, never in an owner’s box, away from the action. She would welcome bringing in New York players of the past, for nostalgia & box office draw. Former NY players came to close out their playing careers, or coach & especially Manager, Casey Stengel, Gil Hodges & Yogi Berra. She enjoyed the success of the 1969 Amazing Mets winning the World Championship. 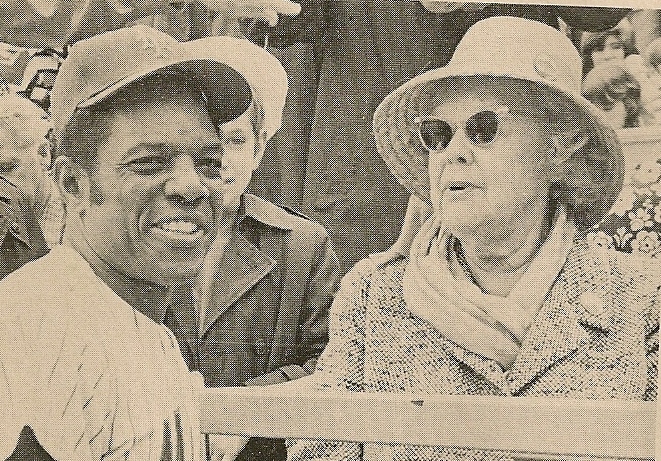 In 1972 she got Willie Mays back to New York to finish his career as a New York Met. With him the 1973 Mets she enjoyed an NL Championship & another World Series. Joan Payson passed away in New York City after the 1975 baseball season & was buried in Falmouth Maine. After her passing her daughter Lorinda De Roulet inherited the team. She knew nothing about baseball & let M. Donald Grant run the baseball operations. With that they destroyed the organization for the next few years. They sold their shares in 1981 when the Wilpon/ Doubleday ownership took over.